When I was a kid, I used to make up pretend treasure maps and search for buried treasure! When I went out onto boats I could picture myself as a pirate looking for sunken treasure. There is something about the thrill of a hunt to find something hidden that gets your blood pumping and heart racing. Especially if you are trying to not get caught doing it! There is a way that millions of people participate in treasure hunts every day! In the year 2000, the government made available satellite capabilities to pinpoint people and objects using GPS technology to the average person. A few individuals decided to test the new technology by placing a container with hidden objects in it within a forest nearby. He posted the coordinates on a GPS users group. Soon after a member of the group went out and located it. Inspired by this new game, he placed one of his own. In each of the containers, there was a log sheet to sign and small prizes for the finders and the "GPS Stash Hunt" was born. Every time someone found a hidden item, they would post it on the Internet and hide another of their own. The GPS coordinates we're compiled into a large data base that has grown to almost 2 million containers around the world! Over 5 million people play this game now called "GeoCaching". "Geo" meaning Earth and "Cache" meaning hidden item. The containers come in all different sizes and shapes. A "micro cache" can be as small as the end of your pencil eraser and can be as large as anything imaginable. There are different types of caches that are hidden in plain view of anyone but is hidden so that it doesn't get removed by "muggles" or people not playing the game. The containers are camouflaged to look like the area it is hidden in. An example of one in a remote desert area would be a "ammo can" with a pile of rocks on top. If someone sees a piles of rocks in the city, people might wonder about it and investigate it. "Urban caches" are caches that have to blend in and become one with its environment in form of a fake rock, sprinkler head, or even a birds nest! 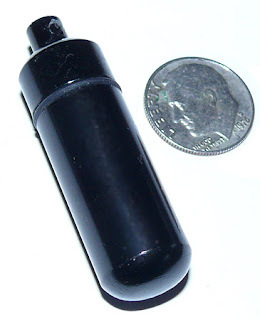 There are more difficult caches such as ones you have to swim/SCUBA dive to or hike a mountain or easy ones that are at your local grocery store! 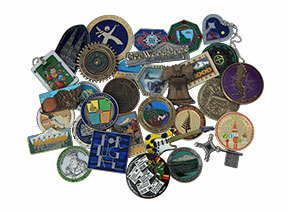 Each hidden geocache has a difficulty and size rating to help you prepare you for what you need to locate it. A description helps you get an idea of what to look for but often, there is a hint if you are stuck. Once you find the container, sign the log, if you see an item in the container you would like to keep, replace the item with something of your own for the next person. Replace the container exactly the way you found it and look for the next one. To start your treasure hunt, first go to "Geocaching.com", download the Geocaching iphone app and sign up. You choose a "user name" to sign on the log sheets and use either your GPS or Smartphone to do a search from your location. 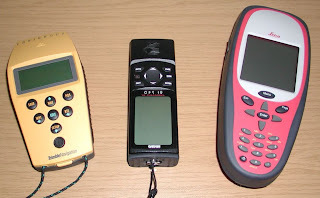 If you need help choosing the right GPS you might want to check out here. You will be surprised at how many hidden containers you have been walking by and never knew about them. 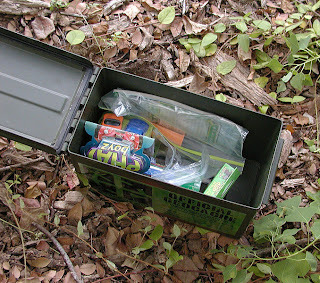 I am warning you, Geocaching is VERY addictive and you will get frustrated at not being able to find some well hidden containers until you get some experience. 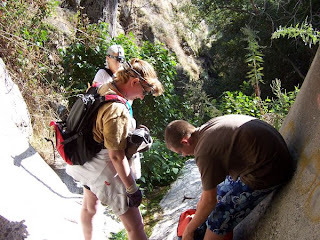 Geocaching is great for families because it is a treasure hunt that brings out the kids in all of us. It also brings people to areas of interest that they may not have been aware of before. 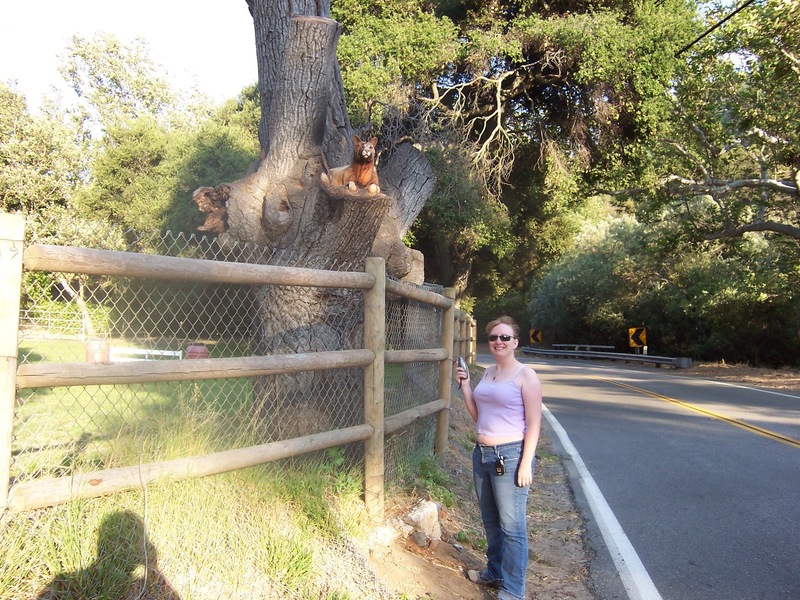 My family and I have found over 300 geocaches in Hawaii, California, Nevada, and Mexico! we even looked for geocaches on our honeymoon and on cruises! We have hidden about 20 geocaches of our own and have created 4 "trackable" items that travel from geocache to geocache around the world! One of our "trackables" made it all the way to Australia! When you are Geocaching, you might encounter a language of acronyms that you haven't encountered before. This easy glossary might help. If you are ready to try something new and have a treasure hunt, check it out today! We have enjoyed spending many hours making memories and getting quality family time. It is my hope that more people can discover the fun of this new game and hide more treasures for us to find! I'd love to do this with you sometime... =) I've always wanted to try it, but wasn't sure how it all worked entirely.